The President of The Catholic League says he is “delighted” that New York City Mayor Bill De Blasio will not be marching in this year’s St Patrick’s Day Parade. Bill Donohue made the remark after De Blasio said he would boycott the event because organizers will not allow participants to carry gay pride signs. The head of the nation’s largest Catholic civil rights organization explained that he did not want to march with any public official who do not want to be associated with Irish Catholics. Donohue asserted that the parade honors the Catholic Saint Patrick and that it is not a political parade. Pro-life signs are also prohibited. 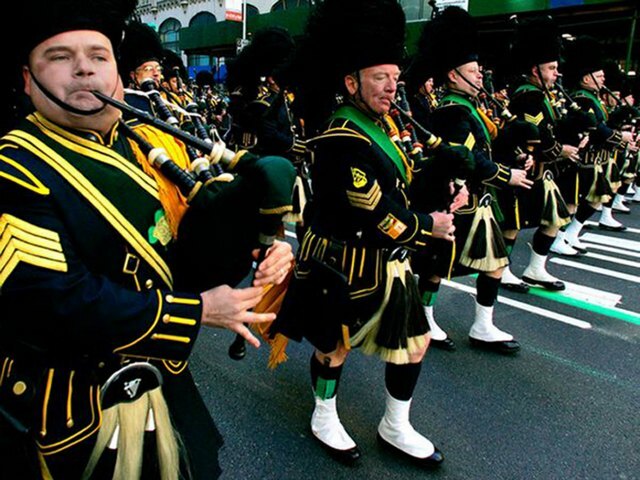 “The parade is not about homosexuals, or abortion, or anything other than honoring St. Patrick,” the Catholic league said in a press release. Parade planners have said gays are welcome to join the procession, which is expected to draw more than one million people on March 17. Donohue has gone on the radio to dispel the myth that the parade is anti-gay. “I have invited gays to march with the Catholic League, provided they do not draw attention to themselves or to some extrinsic cause,” the News release further states.